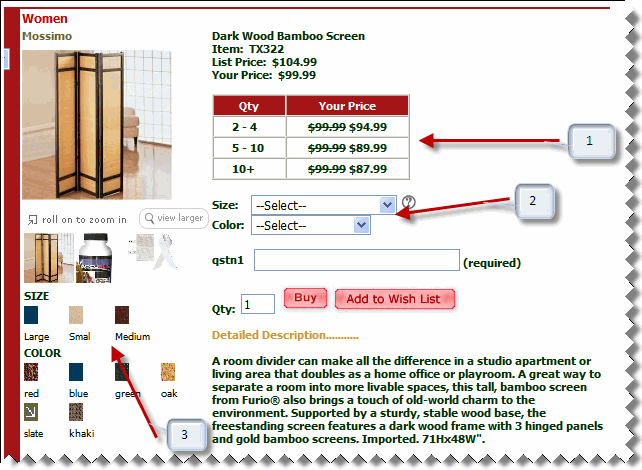 Pulse Commerce supports five display formats for products. 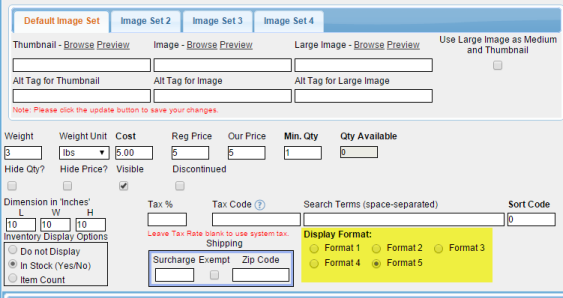 You can change a product display format by going to Products > Inventory Manager and editing the product. Once there, look for the Display Format radio buttons. Select the format of your choice and click Update. Displays information in Text Format such as Product Name, SKU, Weight, Qty, and Product Options. Short and Long Description are also displayed. Displays information in Table Format, showing the Short Description and then other information like Product Name, SKU, Weight, Qty, and Price in a tabular format. The Long Description is on the bottom. Displays the information in Text Format. 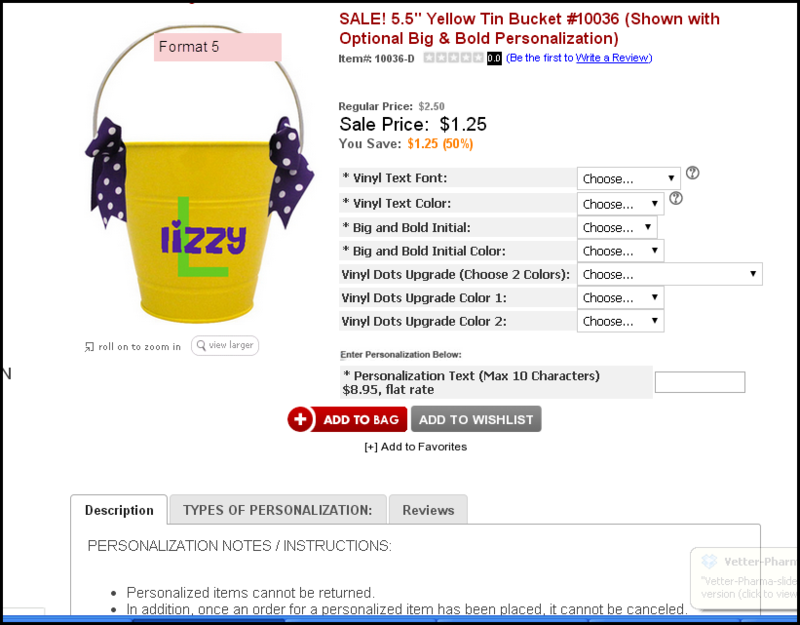 However, the Short Description is at the top just below the Product Name. This format is an add-on module which displays swatches, images, and captions. The Discount Quantity Price range is displayed differently (Qty, Your Price). The Product options are mandatory. This means the system will prompt you to select an option before you can add it to the cart. 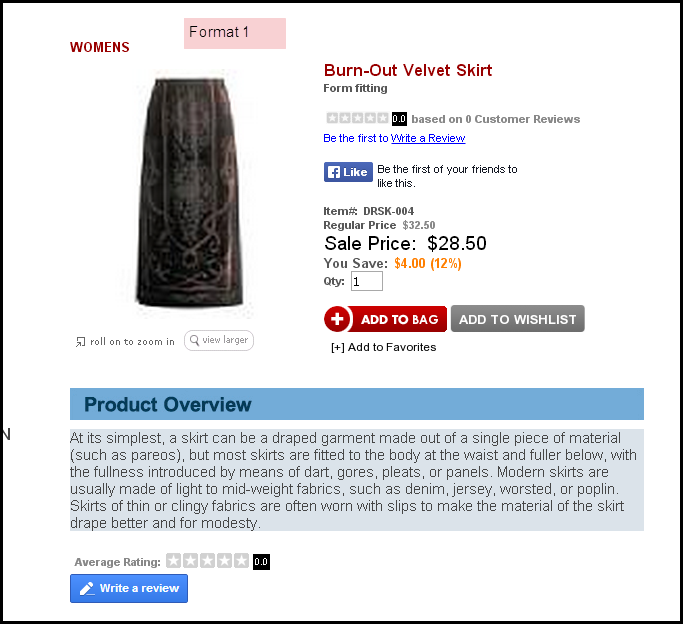 The option images are displayed on the left side under the product image. These images are configured when editing product options. In order to add/edit the option icon images, you will need to have the Product Option Discriminate functionality enabled. Note: Format 4 and Product Option Discriminate functionality is an add-on module and requires an additional fee. If you are interested in learning more about or purchasing the Format 4 and Product Option Discriminate functionality, reach out to your Account Manager. Displays the information in Text Format. 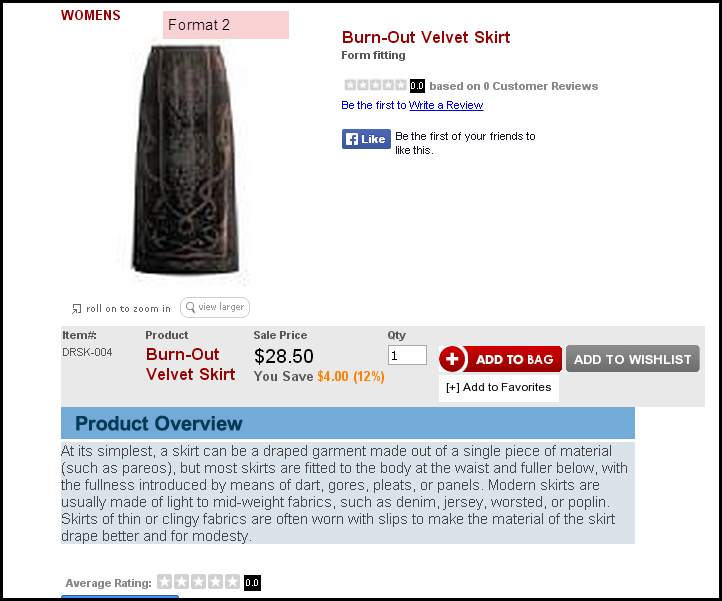 Short Description is at the top just below the Product Name. 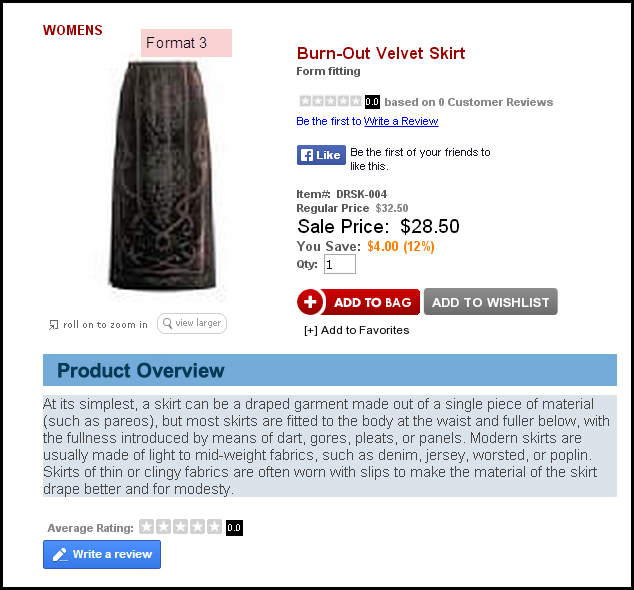 Long Description is below the product information in a tabbed area. The titles for the first two tabs can be configured. Product reviews are also found in this tabbed area.